The PRO-LAB® MOLD+ TEST KIT is designed for “do it yourself” use with reliable results. It uses the same sampling methods that are used by professional mold inspectors and industrial hygienists worldwide. The test kit offers four (4) easy sampling methods that inexpensively detect dangerous levels of microscopic viable (living) and non-viable (dead) mold spores that may be present in your home. The first two (2) dust collection sampling methods are an accurate way to determine the presence of mold, pollen and dust mites in your indoor environment. If so desired, the second two (2) sampling methods allow you to take a sample of visible mold growth or a small bulk sample of mold. Once you’re done taking the sample, place it in the pre-paid postage envelope provided and mail back to PRO-LAB®. Within 7 business days after our receipt you will receive a detailed direct microscopic analysis lab report providing accurate and reliable results of any mold spores, dust mites and/or pollen present in your sample. 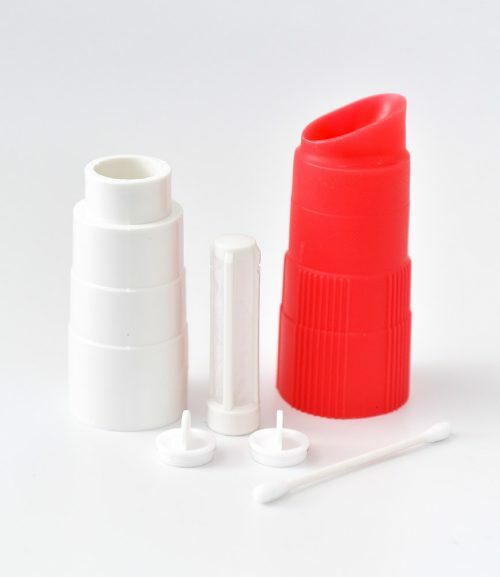 THE PRO-LAB® MOLD TEST KIT offers four (4) easy sampling methods. The first two (2) air sampling methods can indicate the presence of a hidden or an elevated mold problem in as little as 48 hours. If mold growth occurs after the air sample is taken, an Optional Lab Analysis ($40) is available which identifies the type (genus name) of mold present. If you see mold growing in your home or office, the third or fourth method allows you to take a sample and send it to our laboratory for analysis to determine the type (genus name) of mold present. A minimum of two (2) test kits are required for air sampling in order to compare indoor to outdoor air quality. The first sample should be taken indoors in the area of concern. The second sample should be taken outdoors. 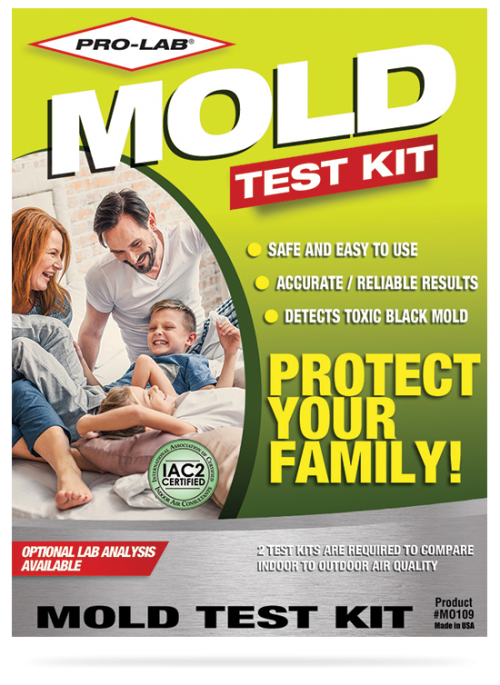 If the results of the test indicate that the amount of mold growth indoors is significantly greater than the mold growth outdoors or if the type(s) of mold found indoors are significantly different than the mold outdoors, you may have a mold problem. 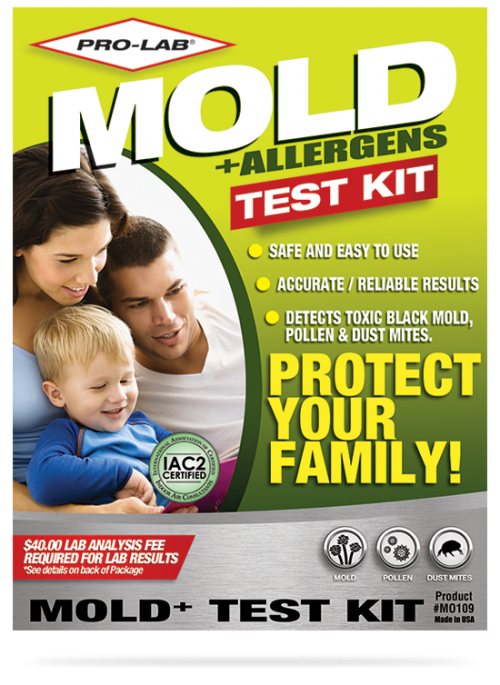 One mold test kit is needed for each indoor area of concern.